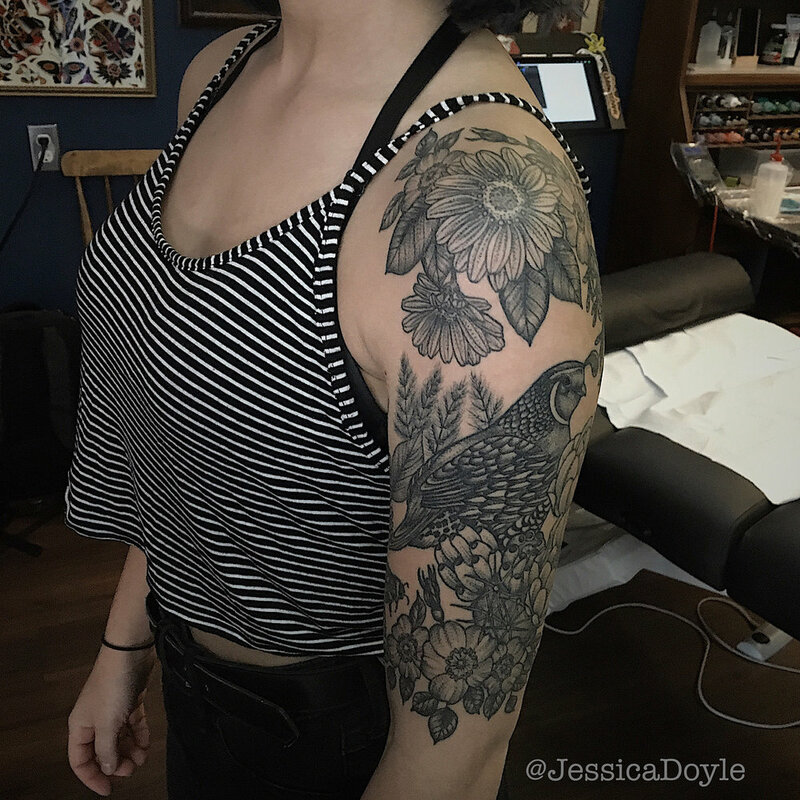 Jessica Doyle started tattooing in 2012 in Edmonton. 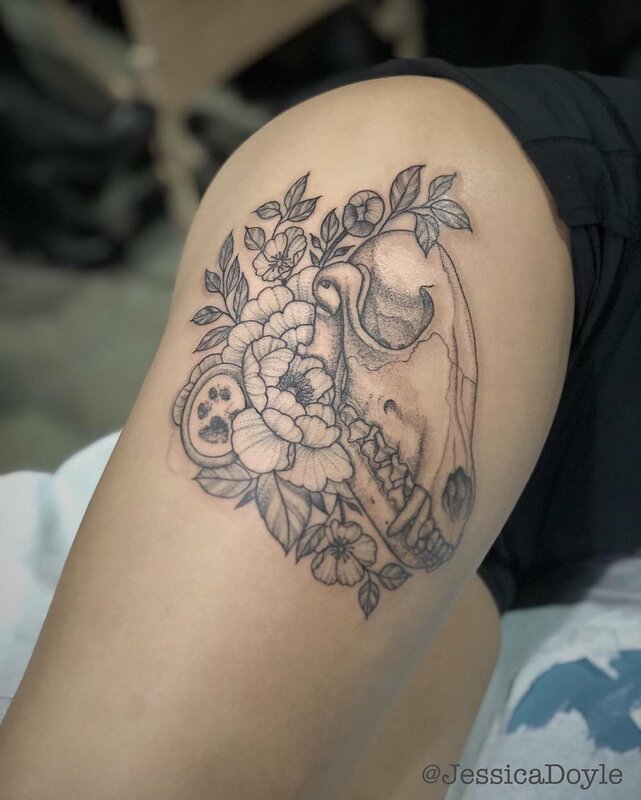 She joined Ambassador Tattoo in August, 2017 after several wonderful years at Bushido Tattoo. 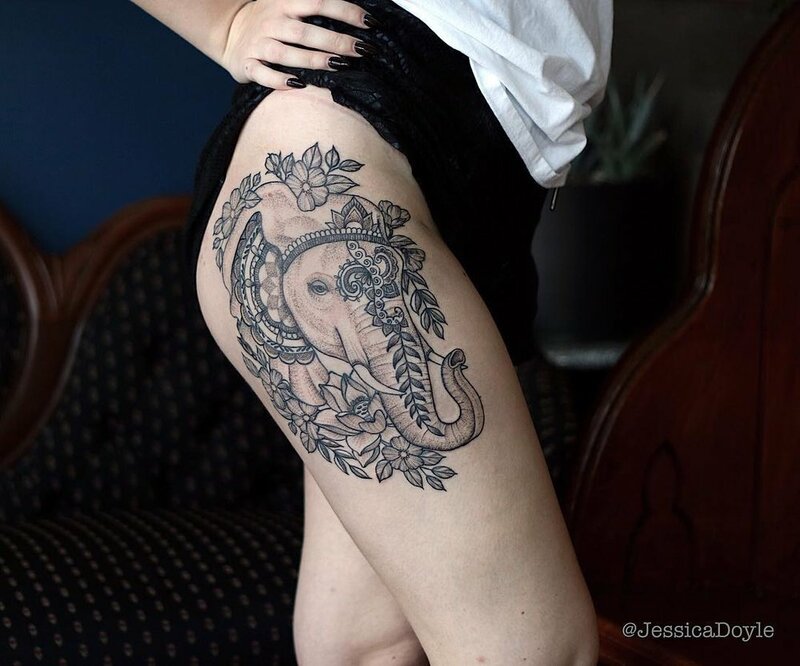 Her love of tattooing started at an early age, and after a year of art school at ACAD, she decided it was finally time to jump in. 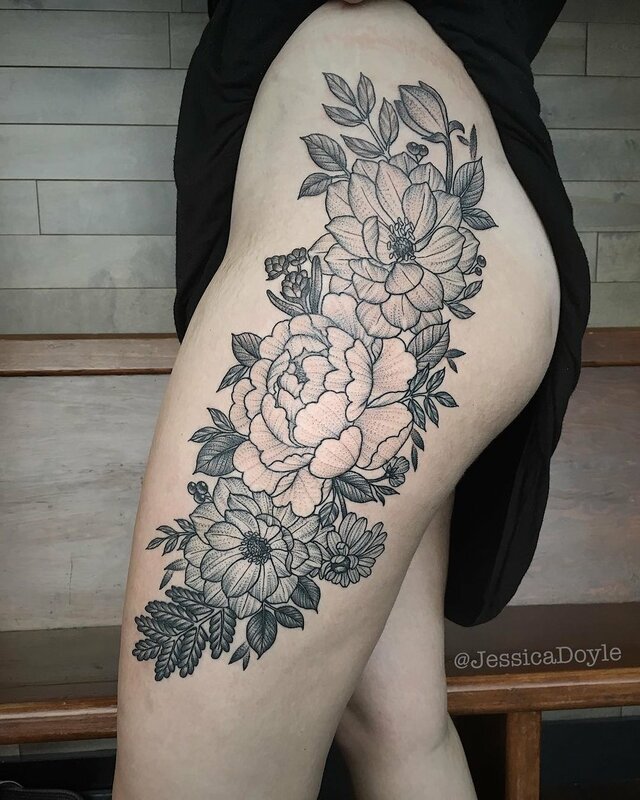 Over the years her style has naturally gravitated to her love of nature and anything botanical. 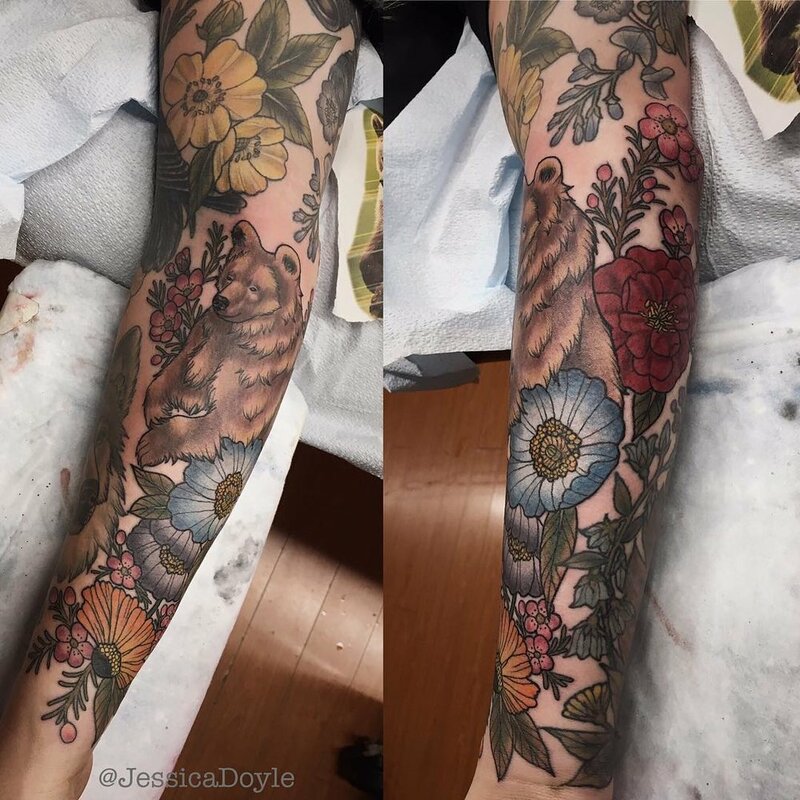 She loves doing both colour and black and grey equally! Due to the volume of emails received, please allow up to a few weeks for response!